As I wind down on the approach to the Christmas break (hurrah!) I couldn’t help but feel inspired by these simple and colourful ideas for adding last minute festive decor touches from Mr. Jason Grant. 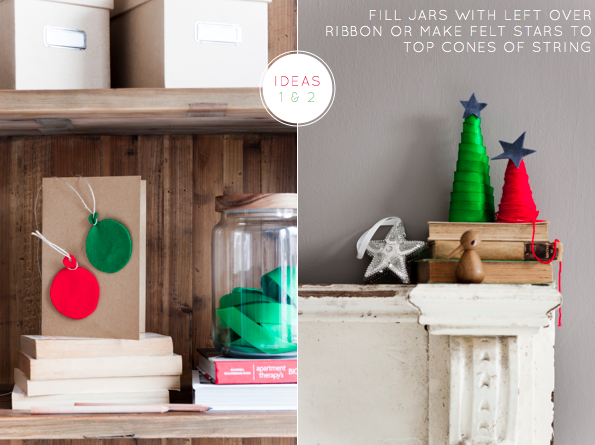 I love how festive a scrap of ribbon placed in a clear, glass jar can feel (not to mention how quick it is to do!) and hanging baubles from ribbons is something I did in this Christmas shoot last year but I think they also look great when hung from a chandelier. 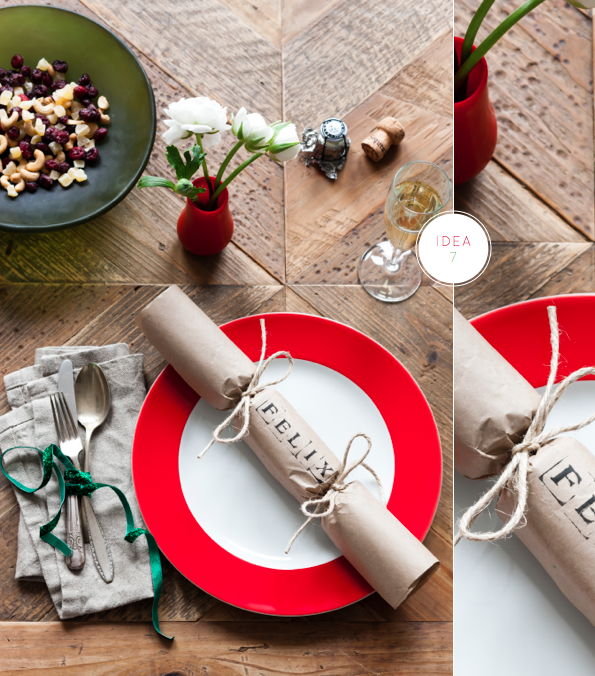 My favourite idea is the pared back, brown paper crackers placed upon a striking red rimmed plate. 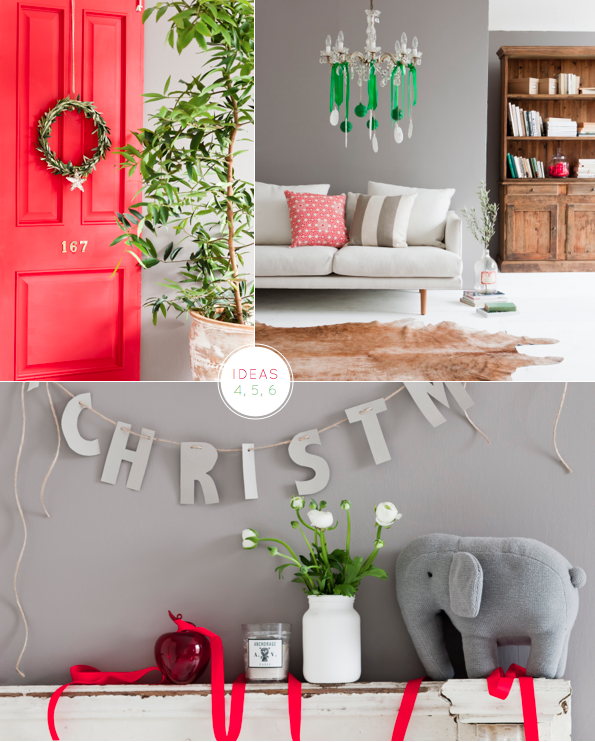 Simple pieces accessorised sparingly with colourful brights makes for wonderful Christmas decor. Which idea is inspiring you, friends? 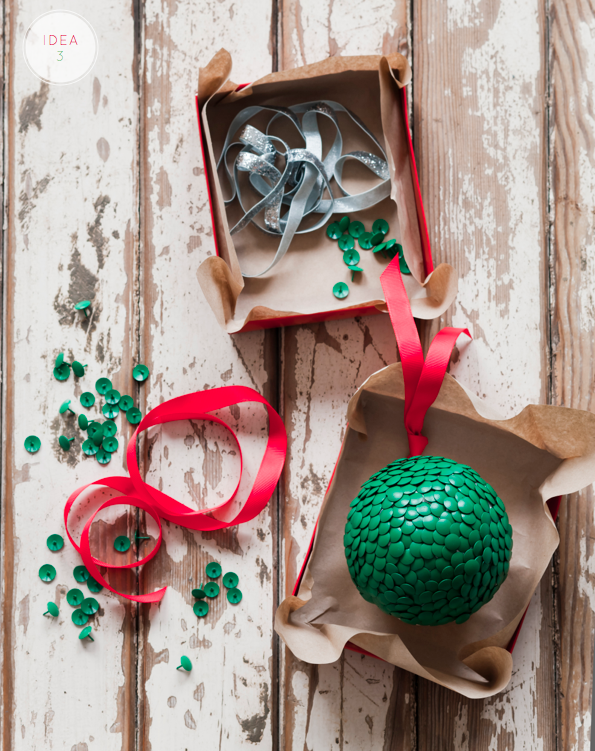 Do you have any top tips for last minute holiday decor? Tomorrow is the last day before Christmas Eve (our big day in Sweden) and I'm not spending Christmas Eve at home and decided not to have a tree this year, but I will go to the market tomorrow and buy some pine branches and put some decorations in them, finally. And some more hycianths, because their smell is really Christmas to mee. I love the red and grey colours combination in a few of these pictures. It's really striking. I may try that out next year! I also love those crackers, if only i had the time to make my own! 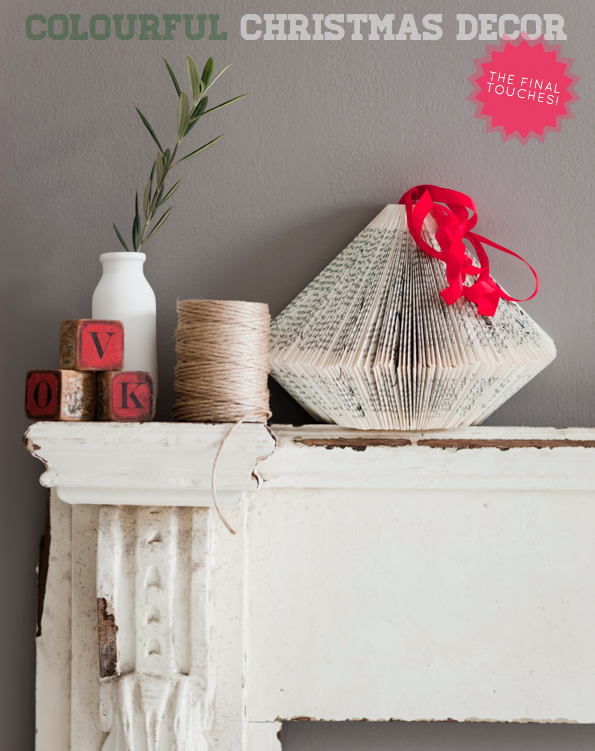 Who would've thought that cones of string could be so festive. I like to fill clear vases and bowls with ball ornaments for quick and easy holiday decor. The ribbon in the jar is inspired!!! Great post! After making ginger bread houses we inevitably have huge amounts of leftover candy. I put them all in a huge jar and it's just so festive on our mantle. i sooo love these colours and that green matt sequinned bauble is gorgeous! Fresh flowers are always my tip – I'm off to find some today! Repurposing leftovers always seems a great idea and the felix paper crackers are super sweet! I love using fairy lights, draping them around the house as a last moment decoration; they actually transform any place into a sparkling wonderland! I like the tradition colour scheme with reds and greens here. As you know, I am rather traditional this year too with the dominant colour red and wooden highlights. It's getting really festive now!! Great ideas! I have loads of ribbon leftover, so this is very timely. You are the King of lovely inspiration, Will! The book with the folded pages is really a Christmas art piece. Happy Holidays – to you and T! I can't wait to see what you have in store for us in 2012! Will, lovely pics as usual. Thank you for more holiday goodness. So excited to be working with you. Thank you for inviting me to be a part of your magic here. I look forward to teaming up and bringing more fun to BB in the new year. Wish you and your loved ones a very merry christmas and fabulous new year. Enjoy the hols with your mum. So many unique ideas and gorgeous inspirations! The pop of reds and greens against the gray are so delightful. My most favorite idea? The green ornament made with thumb tacks! It's so pretty, love the texture, too. It's always a joy visiting your blog, Will! Hello darling. Just popping in to say Happy Christmas. But everything else is done and I am so happy to be here this year. I too love the brown paper christmas cracker. Cute! Ok hun. Big hugs and love from Sweden. These are such gorgeous ideas. I only wish I had seen them *before* the holiday!